RebelWell and Leisure Lifestyles of Oxford have partnered to create an exciting event for grandparents and grandchildren. Join us at the Oxford Activity Center Saturday, February 25 at 10am and learn about some easy and healthy snacks and lunches your kids will love. Children value time in the kitchen with the ones they love. Let us help you add some healthy recipes to your toolkit and make memories with your little, loved ones. 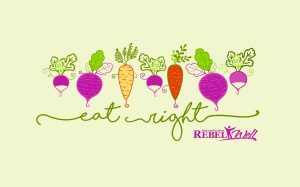 RebelWell’s Registered Dietitian will conduct cooking demonstrations, answer questions and delicious tastings will available for everyone at this fun-filled, interactive event. If you plan to attend, please sign up using the form below. The Facebook event link may be found here.